I am in the office on Tuesdays and Fridays from 9 a.m. to 5 p.m. by appointment only. with over ten years experience working with adults and couples. in Counseling and Human Services. Lisa is certified in Geriatric Counseling and Distance Counseling. 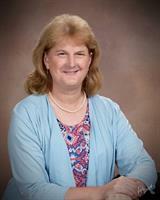 She is also a Board Certified Professional Christian Counselor. Please visit my website for a detailed map and directions.